Amazing Idea! I'd love to try that out. 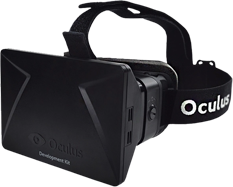 But I can not affort Vr gear, so Inwas wondering is there a version for simple use on a pc or are there plans to do so? 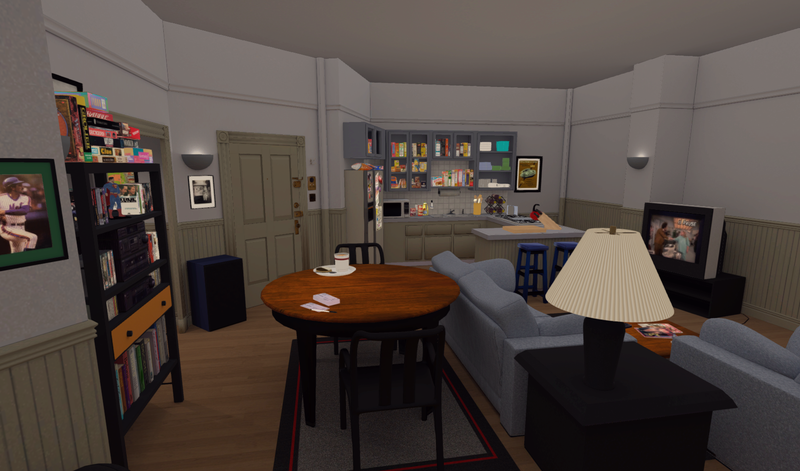 I love the VR idea but since not everyone has them I thing sooo many Seinfeld fans would love to walk around in this appartment even of it is just on the screen and not VR. Does this work with Samsung Gear VR? On the show, didn't Jerry have the original, one-piece Macintosh on his computer desk? Can you send me the file pls ? Would it be possible to make this into SteamVR environment? Yeah, but this version is better because you can pick stuff up and throw it around. Also there is an easter egg in this version that wouldn't work in Destinations. Can't wait for it on the Vive! I can't wait to use this on my Vive. Greg you are amazing. 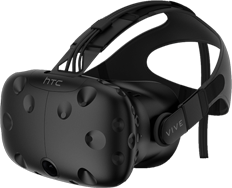 Please please please add Vive support!!! 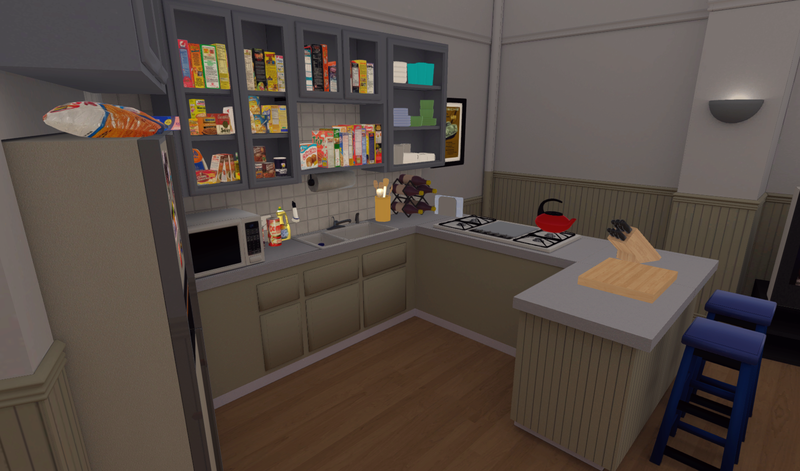 I love Seinfeld and would love to check this out on my Vive!! It's on google cardboard now for android. Ho To GOOGLE PLAYSTORE AND Search FOR jerry'S place. There is a cardboard and a dive version. The dive version works on cardboard too. Great work, you can google "seinfeld floor plan", go to images and you'll see a couple that great, there's even one with two different layouts for the bedroom. Did you see that Sony noticed you? Kinda funny. "Is this fan breaking any rules" Pfft. 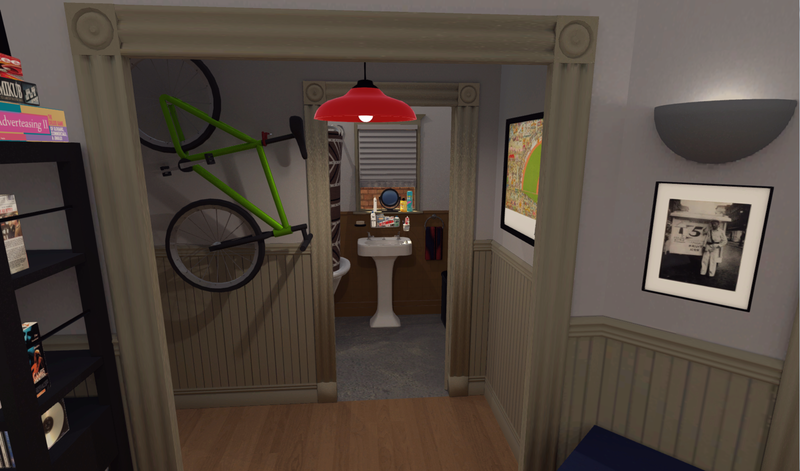 Also, I think this isn't that helpful, but folks in NYC can visit a recreation of the apartment. Maybe someone can get some good video and do some SFM reconstruction? Or at least get good photos of some of the props. Also also, begging again for a cardboard version! Ideally with controller support, but the kinda-std look down to toggle walk would work, too. Thanks for sharing that with me, that's beautiful! If you realistically model George and Jerry and animate scenes from the show using the original audio, you just might break the Internet. Better yet - if you combined a microphone with the Oculus, you could have it so you could actually play the role of one of the characters. You could enter the scene and read the lines from the script, which would trigger the scene and the other characters would begin interacting with you. Imagine how many classic shows you could insert yourself into and how many different roles you could take on. I'd shell out a shitload of cash for something like this. Please make this. Someone make this. That is phenomenally brilliant! I came here just hoping he's made it DK2 compatable, but damn, that's a great idea. Share this idea on Reddit or something man. The idea of delivering lines in a VR environment was a big part of the novel Ready Player One, check it out, I recommend the audiobook version which won many awards, it's also being turned into a movie directed by Steven Spielberg next year. Cool!!! Please do The Simpson's house next! There are so many episodes to work from. Good job. Would love to see the Jefferson's penthouse. Its a great work done. I would like to try with Blender + Unity + DK2. Could you please guide me about integration of Unity App with DK2? and please let me know the challenges you had faced. This is great! For the cabinets remember that everything in each one is placed in alphabetical order. Hope that little tip helps with the accuracy. WELL DONE! Just gave this a try on my rift. Awesome creation! Nice details too. This looks super sweet! 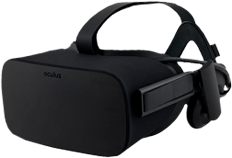 I don't have an Oculus, so I guess I'd be curious if you might be releasing this for Android or iOS? There are a lot of cardboard-esque headsets out there for cheap, and I totally want to show this to folks. Also, the speedyshare and torrent links for Mac seem to be broken. Filesnack works, though! so, at what point can we get the TV in this bad boy rigged up to play episodes of seinfeld, so we can sit on Jerry's couch and watch seinfeld? I'm a Friends fan. 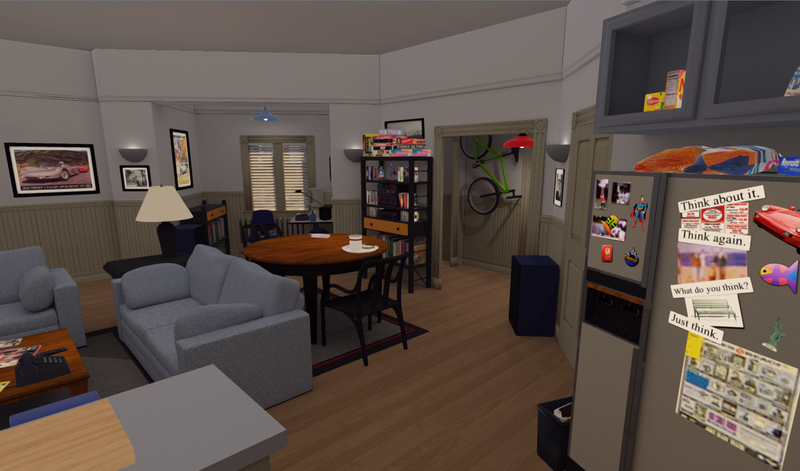 I would love to see a Friends set demo with Central Perk and Monica's and Joe's apartment. A friends fan??? Friends will never have something like this because nobody who isn't insane could love Friends enough to create it...or live Friends enough to use it if it actually was created. For what this is you're getting way too much press. Others have worked much harder on much better Rift experiences. It's because I chose an intersection of pop-culture and exciting new technology. It appeals to two large demographics, instead of just one. Crab mentality is a *****. What a dumb thing to say. He created something thats "buzz worthy." You didn't. If someone made a kim kardashian oculus rift game, it would be front page news. If someone made a beautiful amazing recreation of the city of Paris that was the most visually amazing creation ever made for OR...it would NOT be front page news. What gets media coverage isn't about quality, it's about the topic. This is an interesting cool story, even if it's not an amazing technical accomplishment. If you're a developer because you want to get media coverage, you should at least learn what kinds of things the media is interested in. Hey Poncho, what's the deal with dropping the F bomb on your tour? Seinfeld never used expletives, so why should you? Can we please raise our standards around here? You guys might want to post those comments on his video, not on my website! I actually think they changed the set so the layout was not always the same. There was usually a bike hanging on the wall in the area off the main room- some sort of hall. It's just the camera angle I rendered at. If you look at screen shot #1 you can see the bike! Not sure if anyone else has mentioned this but in the actual show Jerry has a wardrobe room inside his bedroom. If you can remember the episode where the virgin chick organised his clothes wardrobe and it was located in his bedroom. Wow, thank you! It was hard to find footage of his room. He also has different bed covers in that episode. Hmmm... now how can I make it fit? I've got some work to do.. It was actually a long, shallow closet with doors that folded open. It was connected to the wall shared with the bathroom. You can see it in the episode titled "The Virgin"